Jury service beckons and it’s time for you to take your seat in the magnificent London County Hall for the court case of the century. Leonard Vole takes to the stand to protest his innocence in the murder of a wealthy widow. Can his presence and his plea persuade you and the jury that he did not commit the crime – will he escape the hangman’s noose? Agatha Christie’s famous tale of justice, passion and betrayal is presented for the first time in the fitting surroundings of London’s historic County Hall. 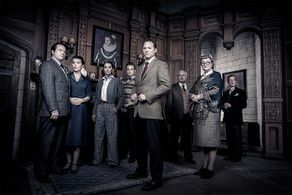 The cast includes Richard Banks, Chloé Booyens, Jasper Britton, Joanna Brookes, William Chubb, Miriam Cooper, Liam Lau Fernanndez, Phoebe Marshall, Hugh Osborne, Christopher Ravenscroft, Emma Rigby, Simon Roberts, Daniel Solbe, Ewan Stewart, Leo Turner and Jamie Zubairi. Charged with the murder of Emily French, the good-natured Leonard Vole approaches Sir Wilfrid Robarts (QC) and Mr Mayhew to help him clear his name. Emily was a wealthy older lady who had taken Leonard under her wing and, after it is discovered that she left all of her money to him, doubt is cast upon the young man’s alibi. When Leonard’s wife, Romaine, agrees to testify, she does so –shockingly - as a witness for the prosecution. But, can she be trusted? What are her motivations for doing so? And, can Sir Wilfrid Robarts (QC) successively crack the case? LOOKING FOR CHEAP WITNESS FOR THE PROSECUTION TICKETS AT LONDON COUNTY HALL? With our huge range of cheap tickets for plays on in London, a visit to the West End has never been better value. Book with us for Witness for the Prosecution and enjoy a great play at a price that won’t bring down the curtain on your budget. Discounted group rates are available for parties of 10 or more people. To enquire, complete our group booking form and one of our specialist team will be in touch. You can book from 20-Apr-2019 to 29-Mar-2020. 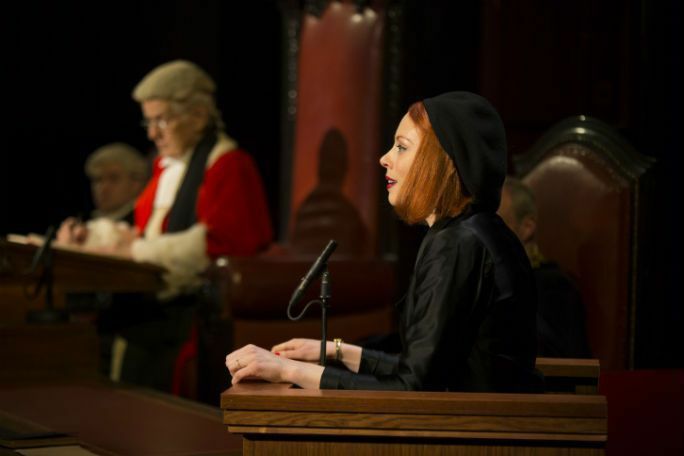 Where is Witness for the Prosecution by Agatha Christie?